The Tudors. . Wallpaper and background images in the The Tudors club tagged: the tudors tv show season finale henry natalie dormer season 1 anne boleyn. 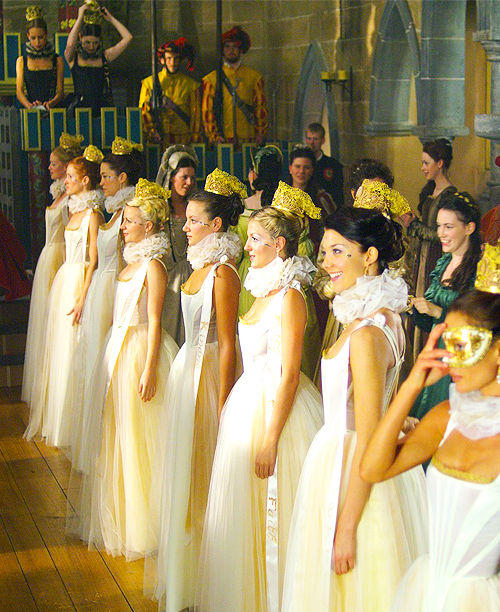 This The Tudors photo contains pengiring pengantin, pengiring kehormatan, and pendamping. There might also be gaun pengantin, gaun, pernikahan gaun pernikahan, and gaun.